As a horticulture experiment as well as a social experiment a dozen planters located in close proximity to Washington Park in Greenwich Village, Manhattan were planted with a wide mix of flowers, vegetables and herbs including Swiss chard, snow peas, beets, basil, rosemary, beans, strawberries and more. 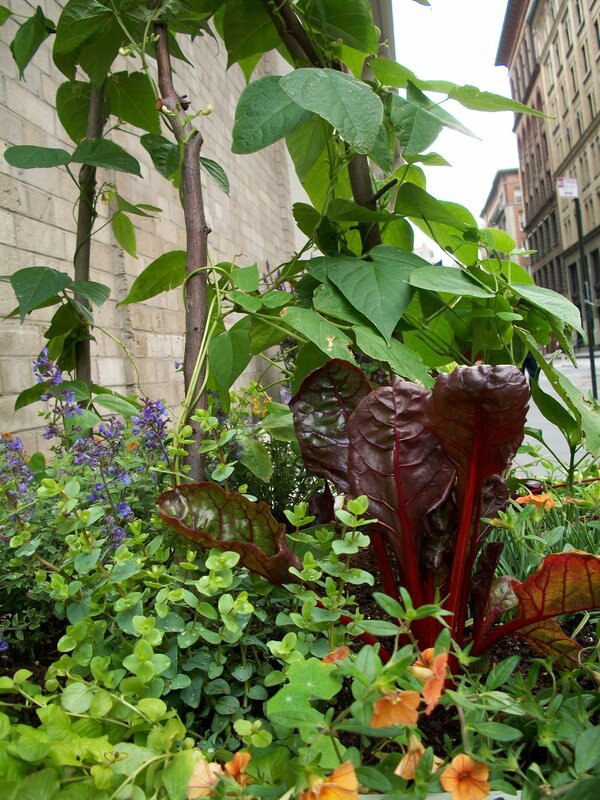 Growing in one of the most trafficked corners of the globe these edible plants grew in full view of thousands of people traveling through the city. Many folks stopped to ask questions, to tell stories and relate their own history to vegetable growing, their grandmother's legendary beans, their father's famous tomatoes. Often the question was 'What if someone steals the crops?' That's ok, as long as they leave some for the rest of us!